Young Professionals 10 Years! Time to Celebrate! 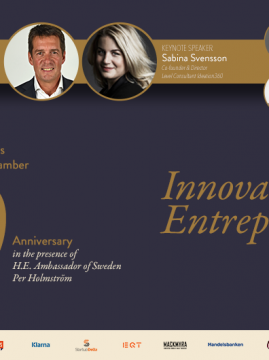 Innovation & Entrepreneurship, Fashion Show Filippa K, Whisky Tasting MacMyra, Food, Fun and Music 17.30 - 22.00 Time to Celebrate! On September 22, 2017 it is time for Young Professionals 10 Year Celebration. Save the date in your agenda and make your pre-registration already to make sure not to miss out on this fantastic event with an inspirational setup in TED Talk format in combination with fun - food - fashion - networking and music! We are very pleased to welcome our co-operation partners Ericsson, Filippa K, MackMyra, Klarna, Innovation 360, StartupDelta, EQT, Handelsbanken and Undutchables! We are excited to celebrate 10 years of Young Professionals with you in the presence of the H.E. Ambassador of Sweden Mr. Per Holmström. Join us for the celebrations on September 22 and welcome to bring your colleagues and friends! The Young Professionals network is a unique organization, built for its members to feel at home. Driven individuals from all kind of professions and companies sharing their love for Swedish traditions and culture as well as their eagerness to learn and celebrate the Dutch ways of doing things. Many of the YP members have a rich international background having studied, lived or worked in many countries. This gives the network a unique mix of people and renowned dynamic atmosphere. Welcome to join the Swedish Chamber of Commerce for a 2-days visit to Stockholm August 31 - Sep 1, 2017 to dive into the Innovation and Startup Scene of Stockholm and to participate in the Stockholm Chamber of Commerce Word Trade Day with , among others Mr. Mikael Damberg, the Swedish Minister of Enterprise and Innovation speaking about Innovation and Technology’s Contribution to Growth and Job Creation. AkzoNobel announces today that Chief Executive Ton Büchner steps down with immediate effect due to health reasons. The company has announced Thierry Vanlancker as the new CEO. Ton joined AkzoNobel in 2012 and has been responsible for significantly improving the performance of the company, increasing profitability and cash flow to record levels. He put in place a solid operational and financial foundation, which enabled the company to recently announce the creation of two focused high performing businesses; Paints and Coatings and Specialty Chemicals. Thierry was most recently head of Specialty Chemicals at AkzoNobel, having joined the company in 2016. A Belgian national, prior to joining AkzoNobel he was President – Fluoroproducts for Chemours, the spin-off company of DuPont's chemical businesses formed in 2015. “It is with great regret that Ton is stepping down due to health reasons. He has been an outstanding leader for AkzoNobel, transforming the company and setting it up for future success. His focus on delivering for our customers and operational excellence has driven profitability to record levels, increasing returns to shareholders. ‘’His passion for the business and personal commitment has helped create a strong culture across the company. He will be greatly missed in the Boardroom and by many colleagues of AkzoNobel around the world. I wish Ton well and hope he is now able to focus fully on his own health. ‘’AkzoNobel remains focused on delivering for our customers every day. In Thierry Vanlancker we have an outstanding executive who is well placed to continue building momentum for the company. This includes the creation of two focused businesses, delivering sustainable growth and profitability. ”It was a privilege to work for AkzoNobel and I am extremely proud of all the achievements the team delivered during my five years at the company. AkzoNobel is full of highly engaged, talented and passionate people who deliver every day for our customers and I want to thank all of them for their contribution and support over the years. ‘’Our commitment to value creation, sustainability, innovation and the communities in which we operate is a major driver of our success. “Thierry Vanlancker is a great addition to the team and is well placed to take AkzoNobel forward, delivering long term value creation for all stakeholders. I wish Thierry all the best. Thierry joined DuPont in 1988 and held a number of senior positions both in Europe and the US, including Vice-President Performance Coatings and Business Manager of Refinish Systems across Europe, Middle East and Africa. A successor for the Head of Specialty Chemicals will be announced in due course. The announcement represents one of the most significant moves by any car maker to embrace electrification and highlights how over a century after the invention of the internal combustion engine electrification is paving the way for a new chapter in automotive history. “This is about the customer,” said Håkan Samuelsson, president and chief executive. “People increasingly demand electrified cars and we want to respond to our customers’ current and future needs. 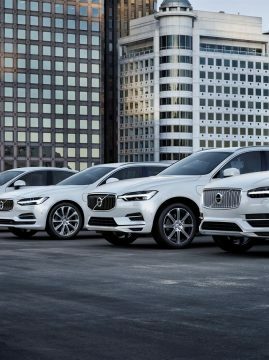 You can now pick and choose whichever electrified Volvo you wish.” Volvo Cars will introduce a portfolio of electrified cars across its model range, embracing fully electric cars, plug in hybrid cars and mild hybrid cars. It will launch five fully electric cars between 2019 and 2021, three of which will be Volvo models and two of which will be high performance electrified cars from Polestar, Volvo Cars’ performance car arm. Full details of these models will be announced at a later date. The announcement underlines Volvo Cars’ commitment to minimising its environmental impact and making the cities of the future cleaner. Volvo Cars is focused on reducing the carbon emissions of both its products as well as its operations. It aims to have climate neutral manufacturing operations by 2025. The decision also follows this month’s announcement that Volvo Cars will turn Polestar into a new separately-branded electrified global high performance car company. Thomas Ingenlath, Senior Vice President Design at Volvo Cars, will lead Polestar as Chief Executive Officer. 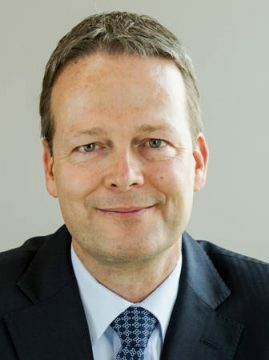 Jesper Brodin will become the new President and CEO of IKEA Group (INGKA Holding B.V. and its controlled entities) in September. 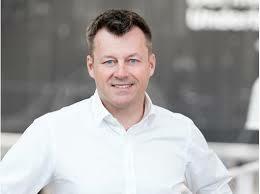 Leiden, NL – Jesper Brodin will become the new President and CEO of IKEA Group (INGKA Holding B.V. and its controlled entities) in September. Jesper is currently the Managing Director of IKEA of Sweden, responsible for the development of the product range and supply chain. He will succeed Peter Agnefjäll who was introduced to the role in 2012. “I am pleased to welcome Jesper to his new role. I am convinced that his extensive experience, and passion for life at home and retailing, will enable him to successfully continue the remarkable work conducted by Peter Agnefjäll. While I am sad to see Peter leave after many years of service, I respect his decision. Under Peter’s leadership, IKEA Group has expanded into new and crucial markets, accelerated our retail transformation in order to meet the changing needs of customers, and taken our sustainability commitments further. I look forward to working with Jesper as we take our next steps in becoming the world’s leading multichannel home furnishing retailer for the many people,” said Lars-Johan Jarnheimer, Chairman of INGKA Holding B.V. “After 22 extraordinary years at IKEA, and 5 years after I was brought into this role, I believe it is a natural time for me to take a change of path. These years have meant a lot to me, both personally and professionally, and it’s been a big part of my life. I will now take some time off with my family, before I embark on my next journey. I look forward to continuing to follow the success of this fantastic company with its many talented co-workers. I will continue to be one of the greatest fans of IKEA and stay close to the many friends I’ve made during the years,” said Peter Agnefjäll. Jesper Brodin, currently based in Älmhult, Sweden, will take up his new position in Leiden, The Netherlands, as of September 1, 2017. “Peter and I have had the opportunity to work side by side over many years and I am the first in the long line of colleagues who would like to thank him for his great contribution and leadership which has helped grow IKEA in many ways during the last period. I believe we have many exciting years ahead and I am excited to be part of the rapid transformation of retail. 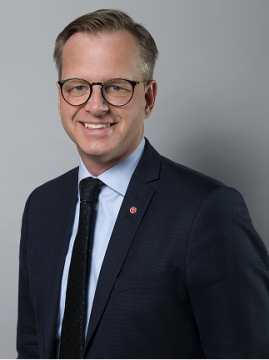 I am very honoured and excited about my new assignment,” said Jesper Brodin. During the last year, 783 million people have visited 348 IKEA stores in IKEA Group markets, and 2.1 billion visits to IKEA.com. IKEA Group also has 45 shopping centers with 425 million visitors. The company is strengthening its integration of physical and digital commerce to enable customers to shop in ways that better suits their specific needs. In the coming year, it will also open stores new markets, including India. In order to reach its goal to produce more renewable energy than it consumes, IKEA Group has committed to own and operate 327 wind turbines around the world and have invested in 730,000 solar panels on our buildings worldwide. It also employs over 140,000 people across its retail and shopping center operations. The Swedish Chamber of Commerce welcomes Jon James, new appointed CEO of Tele2 Netherlands to our Business Network. We are looking forward to meeting him at our upcoming events. At the same time we would like to thank Malin Holmberg for the pleasant co-operation and wish her lots of success. Stockholm - Tele2 AB, (Tele2), (NASDAQ OMX Stockholm: TEL2 A and TEL2 B) today announces that Jonathan (Jon) James is appointed new CEO of Tele2 Netherlands and member of Tele2 AB's Leadership Team. 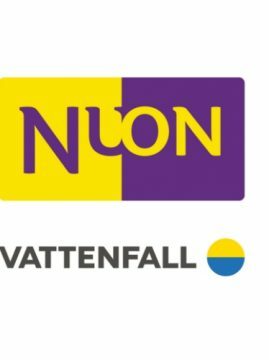 Jon succeeds Malin Holmberg who will leave the company. Jon James was most recently COO at Swedish cable operator Com Hem, where he led the consumer business through a successful transformation. He has over 20 years of experience within the media and telecom industry. 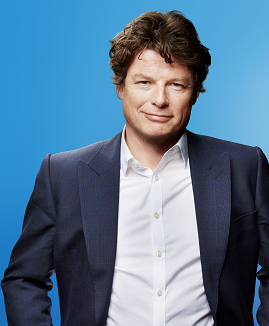 Before joining Com Hem, Jon worked for the British operator Virgin Media where he led the company's broadband and television businesses, as well as holding the position of Group Strategy Director. Following Tele2 Netherlands launch of the world's first 4G only network in November 2015, we have reached nationwide 4G population coverage and more than 1 million mobile customers. Our strategy is now fully focused on creating significant value from commercial innovation and operational excellence. Jon brings extensive experience to enable this next phase of development in the Netherlands, with an outstanding track-record of operational value creation. Allison Kirkby, President and CEO, Tele2 AB, comments: 'I am excited to welcome Jon to the Tele2 family. He brings with him a wealth of experience in the telecoms world and has delivered great results in his previous roles. I am confident that his leadership will enable Tele2 Netherlands to execute the next phase of our strategy. I would also like to express my great appreciation to Malin for leading Tele2 Netherlands during this important phase of mobile roll-out and operational restructuring. Malin has been a key contributor to Tele2 over the last years, driving market share growth in Croatia and also adding value to Group and Market Area Central. I wish her every success in the future.' Jon James, incoming CEO of Tele2 Netherlands, comments: 'I am delighted to be joining the Tele2 family. 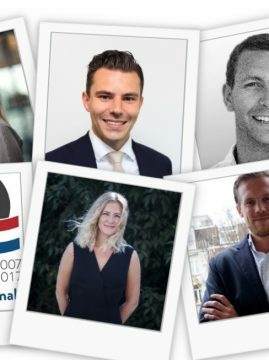 The team have created an excellent platform in the Netherlands, in particular the advanced mobile network and unique brand - I am looking forward to helping accelerate the business' growth.' Malin Holmberg, outgoing CEO of Tele2 Netherlands, comments: 'I truly enjoyed my time at Tele2 and I am proud of my contribution to the company's success. I would like to thank Allison and the Board for all their confidence in me during these past 8 years and my colleagues across the footprint for their support.' Jon assumes the position as CEO of Tele2 Netherlands with effect from March 6th and Malin will stay with the company until June 30th, enabling a successful transition.